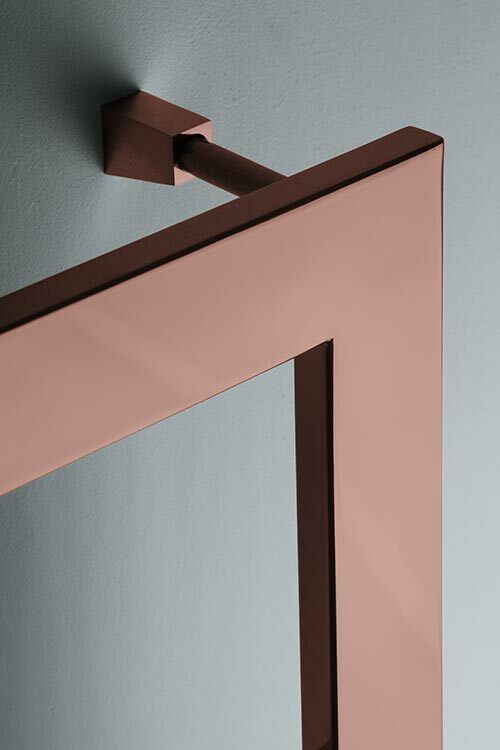 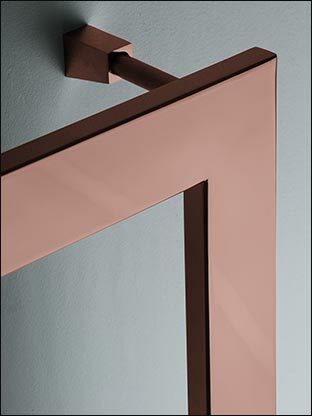 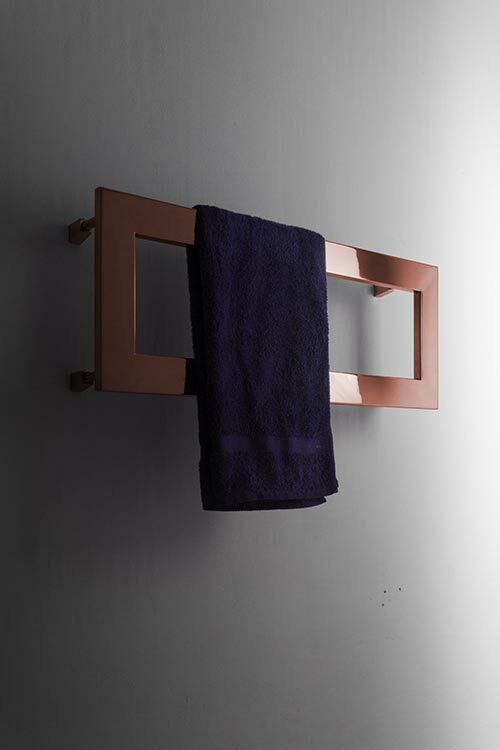 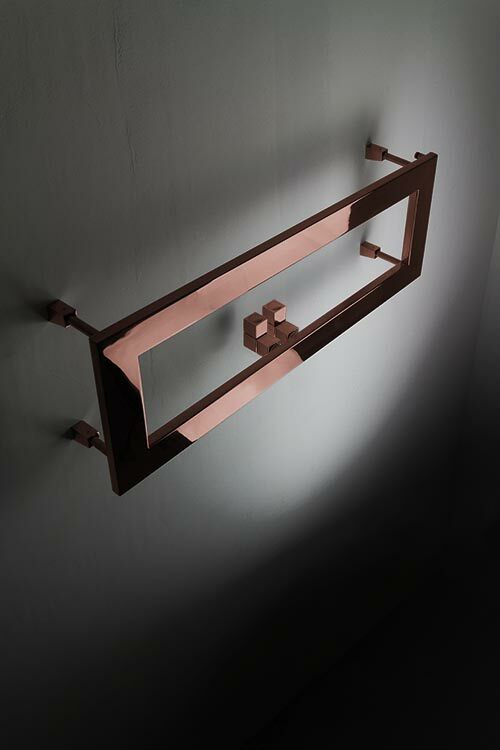 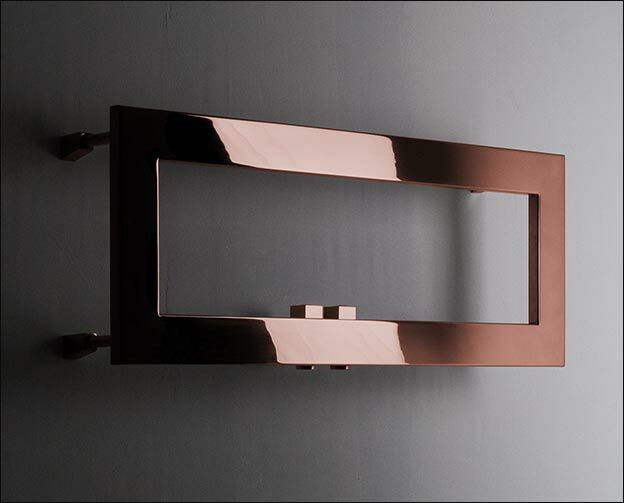 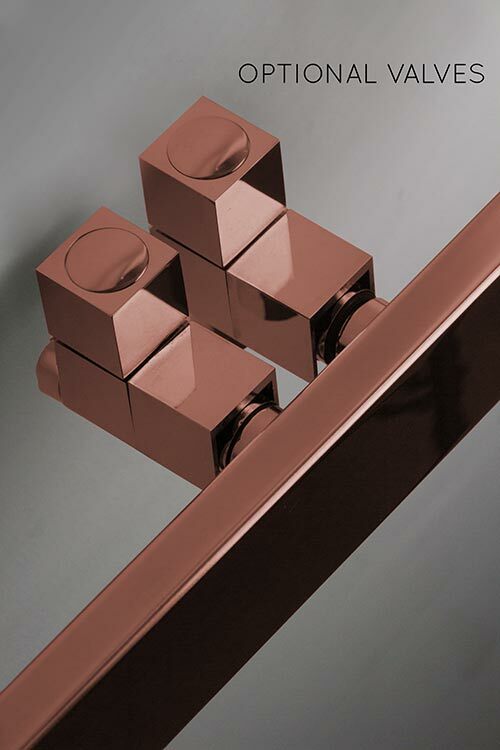 This luxury copper heated towel rail has a unique rectangular shape, which is both space-saving and practical. 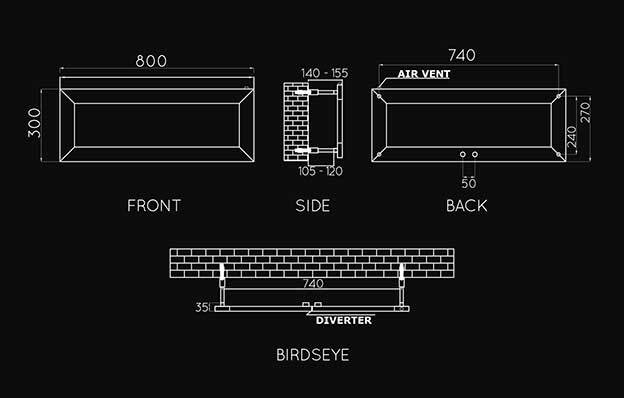 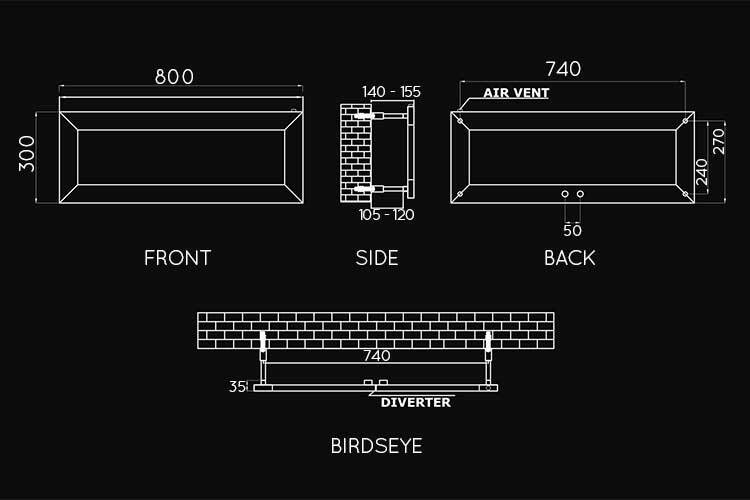 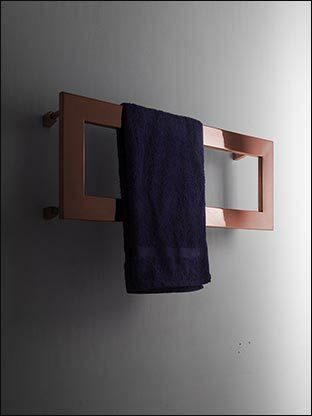 With copper plating on a high quality stainless steel body, the Profile towel warmer is designed to be durable and hard-wearing. 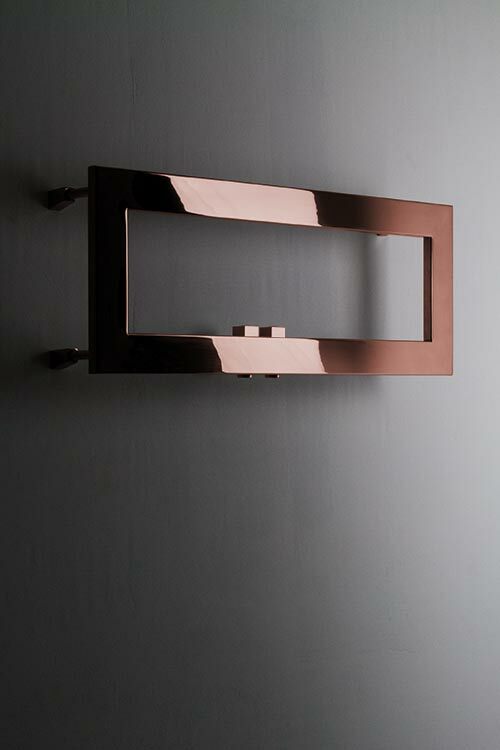 Choose from brushed or polished copper finish. 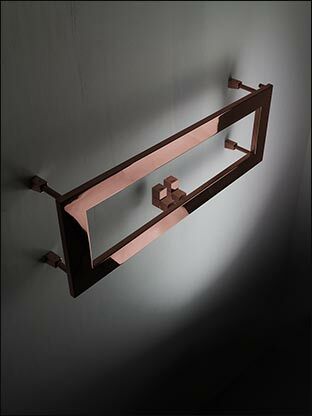 Matching copper valves and pipe sleeve are also available to complete the look. 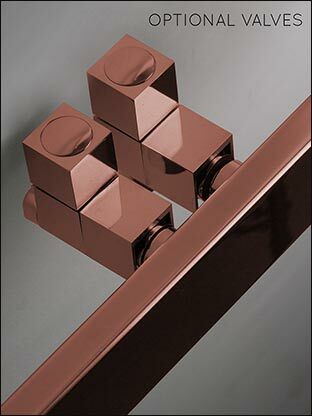 • Optional straight cubic valves.